I’ve been saying for years that the greatest untapped sound in country music is groove. There’s a country funk hybrid sound out there somewhere just waiting to be gobbled up by hungry ears eager for that infectious approach. The past has seen a few dalliances with a funky style of country from a select group of artists, most notably from the Outlaw side of country, including songwriter Larry Jon Wilson who leads off the Outlaw country documentary Heartworn Highways with one such number. Tompall Glaser also tried his hand with a groove-based form of country in 1977 on the album Tompall Glaser & His Outlaw Band. Jerry Reed was also known for bringing a groove to country. But the first established country artist to really do country funk right was Waylon Jennings in 1974 with the song “Louisiana Women” from his breakout album This Time. Most country songs are based on licks or the waltz beat, but “Louisiana Women” was based on the groove, set by one of Waylon’s signature elements: the two note bass line. It was funky, dirty, sweaty, and swampy, but still undeniably country. “Louisiana Women” was written by a songwriter from Oklahoma named JJ Cale. Cale was known at first as Johnny Cale, and is known mostly to the world for writing Eric Clapton’s big hits “Cocaine,” “After Midnight,” and helping to create Clapton’s “slowhand” style. But JJ Cale was just as much an influence on the country world as he was rock, bringing a groove style from the other side of the tracks to give country some funky spice. Beyond Waylon’s “Louisiana Women,” JJ Cale wrote “Call Me The Breeze” and “I Got The Same Old Blues” by Lynyrd Skynyrd. JJ’s song “If You’re Ever In Oklahoma” has been recorded by Cody Canada, and was turned into a bluegrass song by bands like The Hutchinson Brothers and the Yonder Mountain String Band. Many Oklahoma-born and Oklahoma-based artists and bands have JJ Cale’s songwriting and stylistic influences all over their songs, and see him as a father and grandfather of Oklahoma and Red Dirt music. For someone who wanted to discover JJ Cale’s greatness, a good place to start would be his 1976 album Troubadour. It’s the LP that has possibly his most famous song—the drug/anti-drug anthem “Cocaine”—but it is also the album where Cale really delves into the dirty blues/funk country concept the best, laying down some muddy grooves that cross all borders of taste and genre to simply infect human nerves on the most basic level, making you want to move. Songs like “Traveling Light,” “Ride Me High,” “Gypsy Man,” and “Let Me Do It To You” are some of the best groove songs you can find in music, while a song like “The Woman That Got Away” remind you that JJ Cale was a top-shelf songwriter, asserting huge influence on his peers. JJ Cale passed away yesterday evening (7-26-13) from a heart attack. He was 74. His influence on music was great. His influence on country music was unfairly unheralded and understated. One of my all time favorite albums is his album “Naturally,” which came out in 1971. Especially the songs that comprised side 1. The most well known songs on the album are Call Me The Breeze and After Midnight. Both quite different than the more famous versions, especially After Midnight. i wasnt aware hed been involved in country music but i am a fan of his work in rock. i remember getting into a really stupid drunken argument when i was young as to wether or not he was in the velvet underground. cool article ill definately check out all the songs you mentioned. JJ cale and John cale are two different artist. JJ Cale recorded under the name Johnny Cale from 1958-1961. That is what that is in reference to. I love his recording of “After Midnight” (it plays over the closing credits of the film ‘A Room for Romeo Brass’). 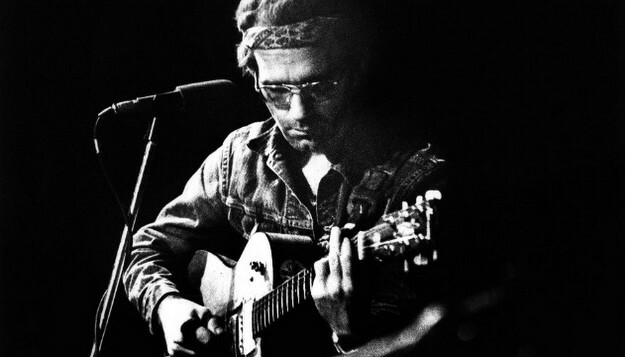 When you talk about Country Groove there is one name that comes to my mind & while I don’t know of any J.J. Cale songs he sung, I think he still needs to be mentioned. That Name is Jerry Reed. No doubt Jerry Reed was HUGE in instilling the groove into country music, and I’m a little embarrassed I didn’t mention him initially, though I’ve always felt he brought that from the popular/disco world (not that that’s necessarily bad) than the JJ Cale/ Outlaw route that the other people mentioned did. One could definitely argue Jerry Reed did country groove the best. I agree with GA Outlaw. Jerry Reed most embodied the “country groove” style. Although, JJ Cale and Jerry Jeff Walker also made big contributions. Tony Joe White, as well. Thanks for this essay, Trigger Man. JJ has been one of my musical heroes for over 20 years, and I’ve never been able to articulate what it is that I find so captivating about his stuff, until now. JJ really did give country the groove- and I agree about Jerry Reed, by the way. I think JJ’s own records have been sorely overlooked in favor of those of bigger stars who covered his songs. RIP JJ A country musician who put a ton of “groove” in country is Charlie Daniels in the 70s, before he went on to a more “country” sound like Drinkin’ my Baby Goodbye. Listen to Funky Junky, Trudie, 39 Miles from Mobile, etc. Now when this came out no one would have classified it as country, but in retrospect it definitely is. And damn good country at that! Thanks much for taking notice of JJ’s passing. He’s one of my all-time favorite artists, and someone whose guitar style has resonated with my own lead playing for many years (never within a million miles of JJ, of course). I read somewhere that he changed his performing name to JJ after John Cale of the Velvet Underground became widely known in the 60s. I like a lot of JJ’s albums but “Naturally” has always been my favorite. “Magnolia” has to be one of the best love songs ever, and that’s saying something. Talk about groove! Love JJ Cale. Not strictly country; but Little Feat certainly had a funky country groove as well. Eric Clapton (and guests) tribute album to JJ Cale is released next week, and is currently free streaming on itunes.